Founded in 1860, many of the original residents of Senoia were settlers from Newberry, South Carolina. From the time of its inception, Senoia grew a reputation for its agricultural production of cotton, corn and livestock. 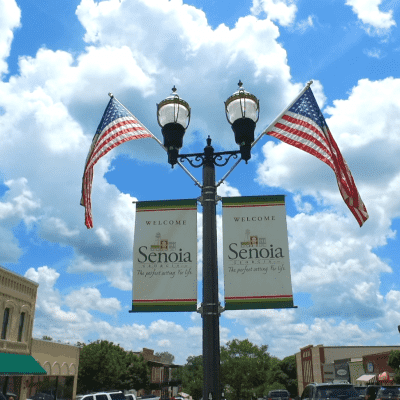 Take a walking tour of Senoia’s historic downtown to visit film locations for The Walking Dead, Fried Green Tomatoes, Pet Semetary II, Drop Dead Diva, and more! Book a stay at the Veranda Bed & Breakfast where Margaret Mitchell interviewed Civil War veterans to write "Gone With the Wind"